Sometimes things are not so clear, sometimes they are and sometimes one can distinguish clearly between what is clear and not clear. 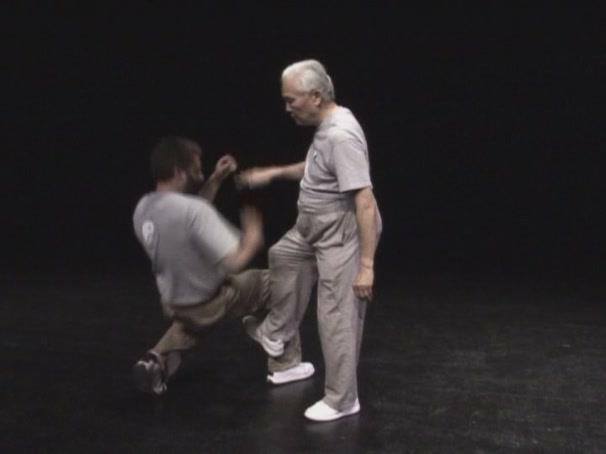 When one side moves the other side does not, can we ask for a better image of the delineation of Yin and Yang in Classical Tai Chi movement? "I have written this and other articles as well in my brainchild Classical Tai Chi facebook group in the hope of engaging the curiousity of students and offering inspiration. Inspiration however, is a difficult thing to pin down and a teacher can inspire but it is only the student who can do the work. I cannot offer curiosity and can only offer inspiration to the point where a student has engaged their curiosity. The inspiration is never earth shaking and I have met many who came and went in relative silence. So it is incredibly rare when I meet a student as I did today who seemingly has the integrity and is forthcoming enough to not only say they are leaving but state a reason. It is even more of a rarity as happened today, when I hear a student say they liked me, liked the classes, but were chagrined to admit they could not find the "inspiration" to go home and practice anything from the very first day for three months, not one bit of silk reeling, not one posture. As I said, a teacher cannot go home with the student supplying inspiration. But in most of these cases whether gone silently, gone with bombast or gone while being forthcoming the student has not seen the forest for the trees. What this takes is "gumption" or as one dictionary defines, it is the guts and subsequent determination to stick things out to the point where the tai chi begins to give genuine sustaining inspiration. This is also known as "Uncovering the Treasure" of which books have been written on how to not only uncover it but provided details on how to take it with you. I've said this many times that initial enthusiasm is no substitute for persistence and dedication. It rewards you in proportion to commitment and devotion and that is not my job as a teacher, the onus is on the student. There is no "secret" to sticking this out and doing the work. Tae Kwon Do is a sport which I did for several years at the same time I was doing Tai Chi, but I once wanted to learn a back turning side kick that could stop an attacker dead in their tracks. I went home and kicked the bag an hour, sometimes two, each day for a year. I kicked to the point where I could move the bag from vertical to horizontal...hitting the suspended ceiling above. One could say, what a specialized skill and of what value? Someone tried to knife me on the street , while I was walking to work, munching on a sandwich and the kick worked, did not even drop the sandwich. I guess Eva is right, there are not many people willing to do that, to stick it out, but the "secret" never changes...it takes initial gumption followed by persistence and devotion. It is a cliche to say this takes a long time or a lifetime, for "Time" is what we have in this moment and is therefore no guarantee that the lack of practice will yield anything but a fallow field."